NEON has released the first official red band trailer for their upcoming subversive comedy The Beach Bum. Matthew McConaughey stars as Moondog, a man who lives life by his own rules with some hilarious and not so hilarious results. Take a look at the trailer below and let us know what you think! 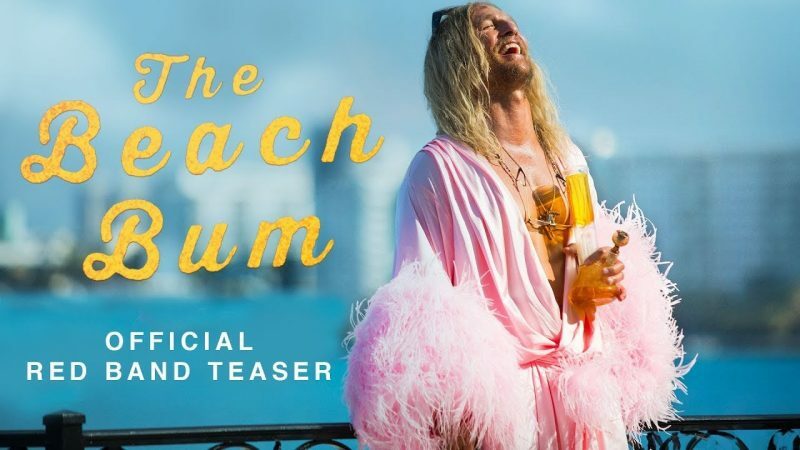 The Beach Bum follows the hilarious misadventures of Moondog (McConaughey), a rebellious and lovable rogue who lives life large. McConaughey costars alongside Isla Fisher (TAG, Now You See Me), Snoop Dogg (Bones, Mac and Devin Go to High School), and Zac Efron (The Greatest Showman, Baywatch). The film will be written and directed by Harmony Korine (Spring Breakers). LeGrisbi Productions’ John Lesher, Anonymous Content’s Steve Golin, Iconoclast’s Charles-Marie Anthonioz, Mourad Belkeddar and Nicolas Lhermitte will produce. The film is executive produced by Tom Quinn and Tim League for NEON and Shane Smith, Eddy Moretti, and Danny Gabai for VICE. Rocket Science is handling international sales, after introducing the film in Berlin in February. The Beach Bum will roll its way into theaters on March 22, 2019. The post The Beach Bum Trailer: Meet Matthew McConaughey as Moondog appeared first on ComingSoon.net.